The SNAP STICK is a ball on a stick. Telescopes from 4' to 8'. 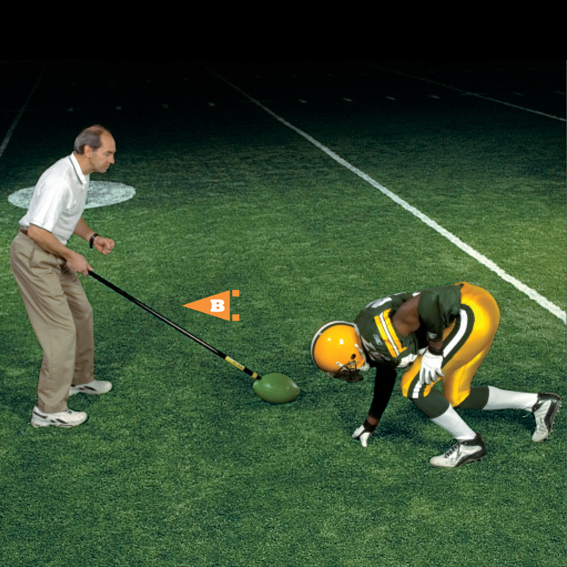 Allows coach to work "get-offs" from a standing position instead of kneeling down over the ball. Set the stick at 4' and work one-on-one. Set the stick at 8' and work the entire line. Molded foam ball is safe if stepped on. Green color blends in with grass to teach eye focus. "The coaching point is to improve explosion off the ball!"